I’ll be honest, when I get asked to photograph motorcycles for builders my first reaction is to palm it off to more [interested] qualified photographers who love shooting inanimate objects and do it really well. I have a lot of respect and admiration for anyone who can use their hands to create and engineer a moving machine… I often find myself more interested in the person behind the build however, rather than the build itself. 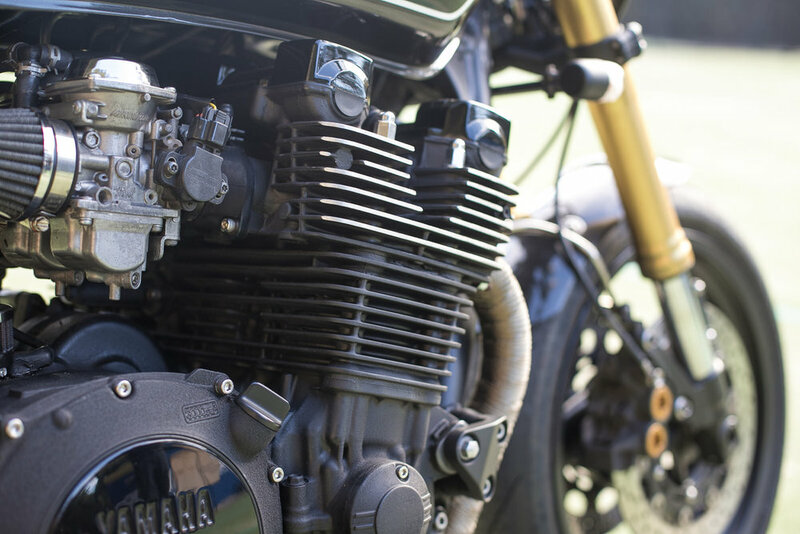 That said, when Harley Borkowski from RB Racing asked me to photograph his custom Yamaha XJR1300… in a scene full of photographers who’d love to (and have) photographed this bike… I couldn’t say no. 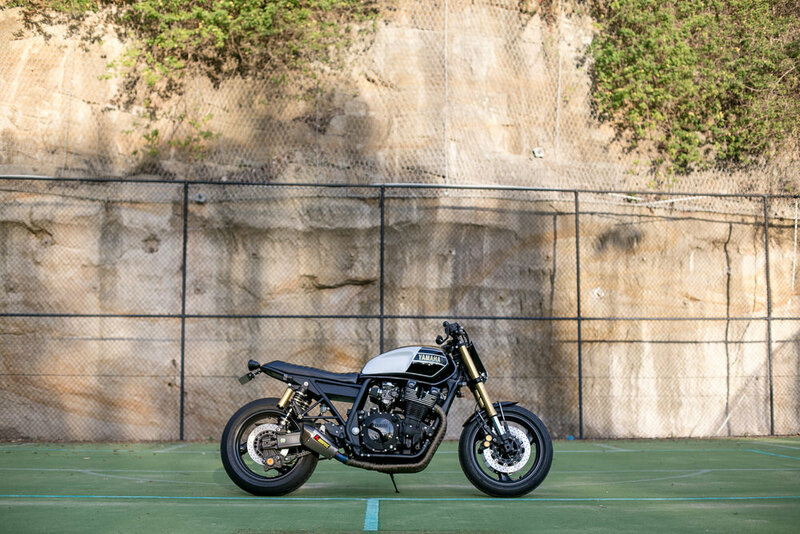 Harley is a well-respected builder, racer and mechanic in Sydney. He is one of the few professionals I know who sits comfortably in between the custom culture scene and the hi-performance sports bike scene. He’s someone whose experience is broad and applied… and what I like most, his respect is earned. 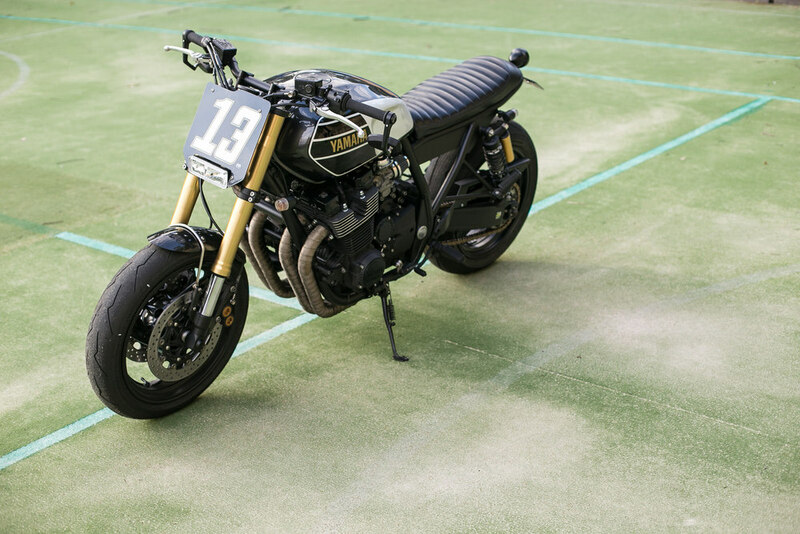 In the custom moto scene, we see fads come and go. I know when I entered it a few years ago everyone wanted custom Yamaha SR400’s with clip-on handle bars and black electrical tape crossed over their headlights… since (and possibly even before) we've seen a mass swing towards aesthetic customization rather than design. I'd love to see more enthusiasts and builders alike customise stock bikes based on specific function that consider the person who rides it. Harley built this bike for himself, and it is uniquely him. Efficient, powerful and doesn't make a big fuss of itself. Harley is a bit of a purist. He clearly loves the creative outlet of customisation, but understands performance and engineering… which means his builds are timeless, stand apart from fads, and demonstrate a restraint that makes one ache when you know what he is actually capable of… and they perform beautifully! 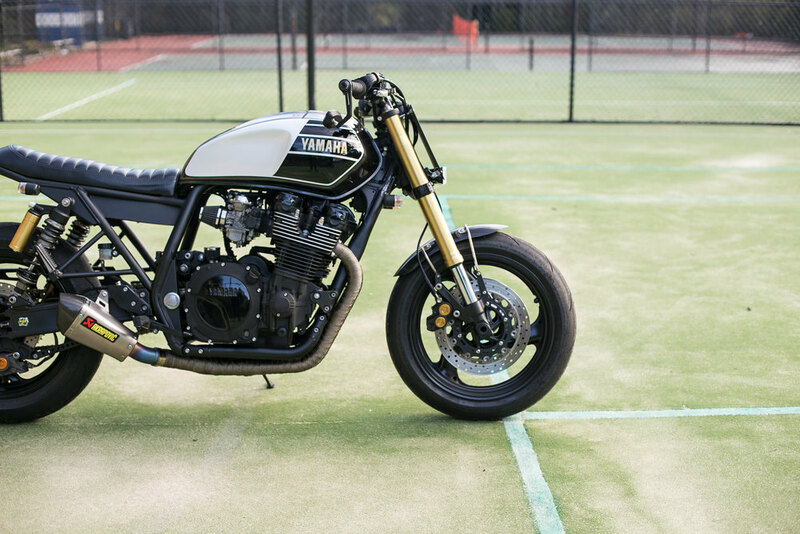 For this photoshoot we went to an abandoned tennis court instead of the road - given the bike's colours are so similar to bitumen we needed some contrast to highlight the simplicity of the build. Ironically, tennis as a sport also lends to the philosophy behind this build, a unique mix of precision in performance and personal expression. On this XJR1300 he played to the stock bike’s strengths and then swapped out the front end for R1 handling, flat-track bars for a comfortable riding position somewhere between the cruising position of the stock bike and the racing position of the R1. Custom rear sub-frame, electric box and carbon race plate. Custom anodised front and rear shocks and akrapovic exhaust… sounds simple… but then there is a lot of unseen complexity behind simple solutions. The XJR 1300 was a build I had in my head for a long time. Ever since they released the SP model in 2001, with the Kenny Roberts inspired paint scheme, I loved the idea of mixing the precision of a race bike, with the brutality of a naked muscle bike. Once I found a bike good enough to use, but not too good to cut up, the process could begin. Other than a clean up, some paint, and a few small performance modifications, the engine was pretty much left alone, they make more torque than most mortals can use, and are as reliable as the rotation of the Earth. But still, a full custom race exhaust, with an Akrapovic short muffler from a Kawasaki ZX10R, the deletion of the air box, big port inlet manifolds from an FJ 1200, cams dialled in, and the carburettors rejetted to suit, it now has 130hp at the rear tyre. The rear subframe section was completely removed, and a new frame was fabricated, with an enclosed area under the custom seat for the battery, ignition box, and relays, and new pillion pegs and hangers were custom made to suit. An R1 front end and brakes were sourced, the forks were re-sprung, and re-valved to handle the extra weight of the XJR, and a set of Renthal Fatbars and risers were grafted on to the R1 top triple clamp. The rear end runs the stock XJR swing arm, with an R1 rear brake, and a set of Gazi fully adjustable piggy back shocks. The frame geometry was then mapped out and applied to the new front and rear suspension to give the frame the sharp, precise race inspired handling I was after. Finally, the frame was shaved and stripped of all unnecessary bracketry and finished in 2 pak matt black. The carbon front guard and race number plate were custom fabricated, and the tank given a re-paint to suit its new environment. The finished result is a bike you can take to the race track and cut some good laps, take to the drag strip and unleash the engine, take it for a day long touring ride in comfort, and carry a pillion without any troubles normally associated with full custom bikes.